A stay at Garden Plaza Hotel places you in the heart of Saddle Brook, a 4-minute drive from Westfield Garden State Plaza and 6 minutes from Paramus Park Mall. This hotel is 2.4 mi (3.9 km) from Saddle River County Park and 6.1 mi (9.9 km) from New Jersey Naval Museum. 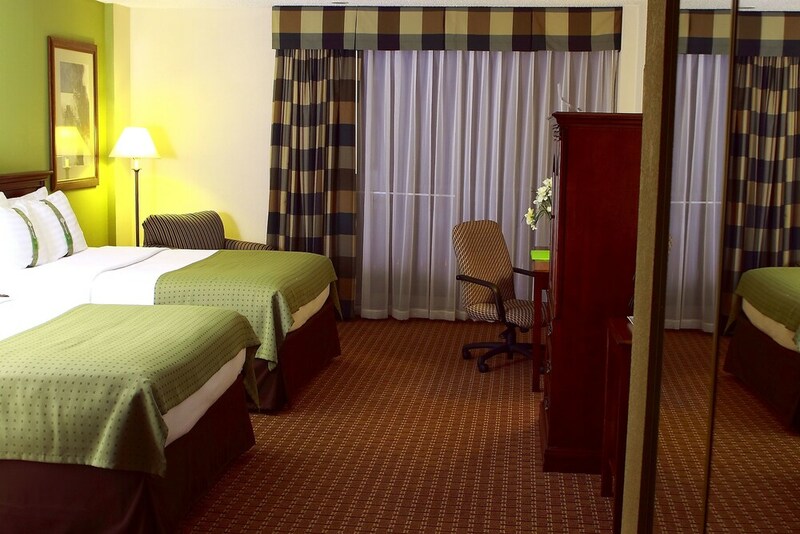 Make yourself at home in one of the 2 air-conditioned guestrooms. Complimentary wireless Internet access is available to keep you connected. Bathrooms have complimentary toiletries and hair dryers. Conveniences include phones, as well as desks and coffee/tea makers. Enjoy recreational amenities such as an indoor pool and a 24-hour fitness center. Additional features at this hotel include complimentary wireless Internet access, concierge services, and gift shops/newsstands. Enjoy a meal at Old City Grille, or stay in and take advantage of the hotel's room service (during limited hours). Wrap up your day with a drink at the bar/lounge. Featured amenities include a 24-hour business center, express check-out, and complimentary newspapers in the lobby. Planning an event in Saddle Brook? This hotel has facilities measuring 5000 square feet (465 square meters), including conference space. Free self parking is available onsite. This New Jersey hotel has a 24-hour workout room, and complimentary wireless Internet access. The hotel offers a 24-hour business center, 5,000 square feet (464 square meters) of meeting space, daily housekeeping, and free parking with space for trucks and RVs. The indoor heated pool is open Monday through Thursday. Laundry facilities are available onsite. ATM/banking is available, as well as gift shops or newsstands. A television is in the common area for guests to enjoy. Guests can enjoy in an outside picnic area. Old City Grille - This contemporary restaurant features wooden tables and chairs and serves such dishes as filet mignon, escargot, crab cakes, and seared scallops. The Holiday Inn has a heated indoor swimming pool and a workout room with exercise and cardio equipment. Pool access available from 7:00 AM to 10:00 PM.The property has connecting/adjoining rooms, which are subject to availability and can be requested by contacting the property using the number on the booking confirmation. The property allows pets in specific rooms only and has other pet restrictions (surcharges apply and can be found in the Fees section). Guests can arrange to bring pets by contacting the property directly, using the contact information on the booking confirmation.